Midgets, Moonpies, and Dawgs: Happy Birthday Catie! Happy birthday Sweet Girl!! We can hardly believe that you would have been five years old today. We will think of you so much today (but then, we do every day). We know the celebration that you have every single day in Heaven is better than any old measly thing we could pull off here... Celebrate for us today! We love you so much!! Happy 8 month birthday to Izzy today too!! It's hard to believe you're already 8 months old!! 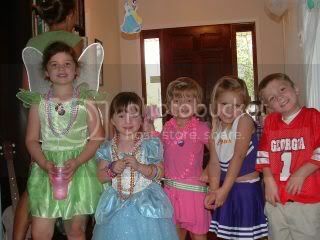 Catie and pals at her dressup party last year... Bailee and I love to laugh about what a mess her room was at the end of the party... Catie thought it was pretty funny last year too! She hated having a big group sing Happy Birthday to her... but she didn't mind if it was just Tre' and I. This was after her bath on her birthday last year. 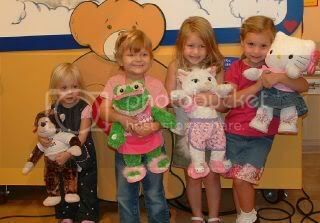 Bailee's (w/ Hello Kitty) birthday is the day before Catie's. This is last year on her birthday. Catie really had a good time that night! Hope the resizing of pics I did worked... it's hard to fit them into the blog if they're wide pics. Happy 8 month birthday Izzy!!! Thinking of you ALL today with love & prayers. You must be having a terrible time up in heaven!! dancing and singing, with only God singing you Happy Birthday. HAPPY BIRTHDAY Catie! We miss you like crazy!!! For a beautiful birthday in Heaven. Happy Birthday Catie!! Thinking of you all today! Thinking of you all today as you remember Catie's birthday! 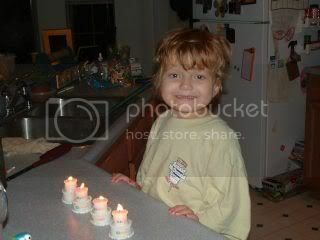 Happy birthday, indeed, to a lovely little girl who should still be here. You are greatly missed both by those who actually knew you and those who only knew of you. I hope somehow you know how much good is being done in your precious memory. And I know you have had a blast today! I am thinking of your family today and wanted you to know that my kindergarten class celebrated Catie's birthday today with cupcakes. Can you just imagine the celebration in heaven? Happy Birthday Catie Bug! As I was driving home from school today, I could not help but think about Catie and how much we all miss her. It was raining as I got near to my house. Right in front was the most beautiful large rainbow and the sun was shining right thru the rain clouds. 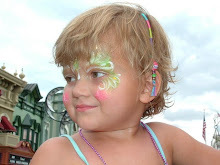 It was as if Catie Bug was telling us that everything will be OK. Have a wonderful heavenly birthday, Catie Bug! I thought of you guys all day today... You're in my heart and in my prayers. Happy birthday, sweet Catie! The photos were great, and the CNN clip was very moving. Jenny, you do such an amazing job at all the media appearances! I hope ya'll shared happy memories of Catie on this special day. Catie was a beautiful child. Happy Birthday Catie!! You are always close in thought and always in our hearts.